Do you know that all airplanes have a flight management system (FMS)? What about it? It means that its on-board embedded panel PCs are used for multi-purpose navigation. According to GlobalSpec, FMS also provide performance computations and plane operations during flights. But, as the systems continue to evolve, requiring an upgrade of the flight control system is a must. In most cases, processes are now automated for in-flight tasks and avionic systems. 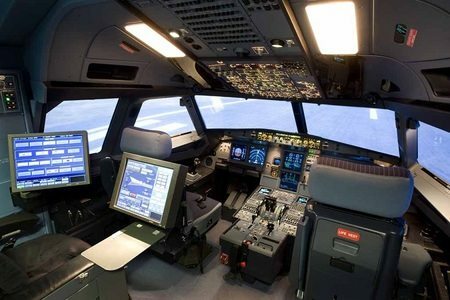 Hence, to improve flight safety and effective aircraft operations, industrial computers are fundamental. Technology is now a necessity for every industry. Are you up to improving flight and aircraft operations? Building a 12.1” embedded panel computer for FMS can be a great start. With its Intel-powered motherboard processor, it can collect usable data on the FMS. Also, upon its integration, the device can store, analyse and send such data within the network. Aside from that, this panel equipment can withstand extreme working conditions. Let us compare our recommended touch panels to other product lines. Exceptional quality. Long-term availability. And warranty. Do you consider these features when it comes to flight and aircraft operations? Sure, your on-board panel computer must have these. See and compare more specifications below. Presented above are the features, benefits and considerations of these products. Now, which product will you choose? It will be up for you. In fact, you can customise your build on the 12.1” rugged touch panels. Based on the components needed on your aviation operations, choose on what’s best fit. We also provide PC calibration and troubleshooting steps to our clients upon installation. Unlike common panel devices by other manufacturers, some specifications are limited for disclosure. So, which one would you choose first? Of course, you would definitely consider the device offering a complete menu on the table. True, it can be a huge investment. But, always guarantee that you choose what’s best for your aviation operations. Other manufacturers may claim that they have the finest and reliable product line. But, you have limitations on seeing a comprehensive specification per product. Needless to say, FMS is the centralised controller of flight and aircraft operations. So, start building your 12.1” rugged panel PC today.